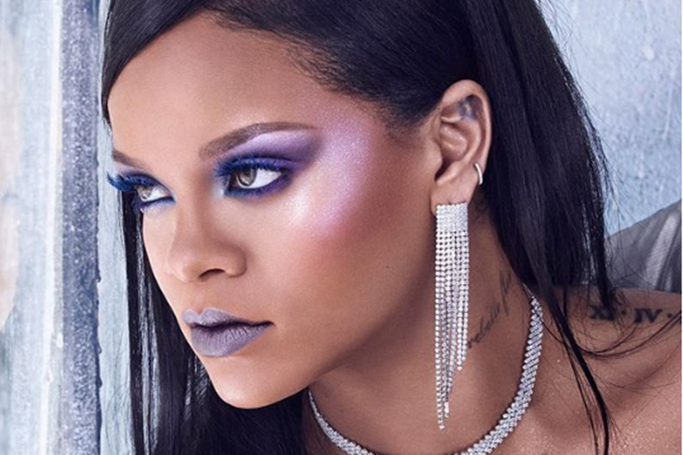 Rihanna makes blue highlighter a thing –and we love it! It’s totally acceptable to start talking Christmas as Fenty’s latest launch is full of holiday spirit! Putting us on a fast-track to the festive season, Fenty Beauty has released a Chillowt Holiday Collection that we couldn’t be more excited for. Fenty Beauty is currently on a world tour to celebrate its first birthday. Whilst in Sydney, it was announced that seven icy hot (yes, we meant both) hyper-metallic shades are coming our way, to glow up our eyes and cheeks for the festive holidays –which we’ve unofficially called Rih-mas. The Fenty Beauty Killawatt Foil Palette has every shade we need to be an ice queen (Rihanna makes a case for blue highlighter, we approve) or a pumpkin spiced latte –depending on our festive mood. The new festive Fenty Beauty palette launched at midnight for anyone who lives in Australia or New Zealand (sadly not us). But, we have good news as the Fenty Beauty’s Killawatt Foil Palette will be available in the Middle East from 12th October. Even more good news –the highlighter palette is just the start of the Fenty Beauty Chillowt Holiday Collection, so hang up your stocking and keep a look out for all the new glittering Fenty Beauty buys to come. We wish you a merry Rih-mas!